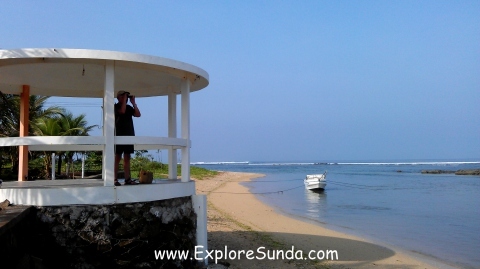 On March 2014, we spent a long weekend in one of the beautiful tropical beaches in southern Java: Ujung Genteng. This beach is facing Indonesia Ocean (Hindia Ocean). It is a beautiful beach with white corral sands and clear sea water. The beach is covered with broken corrals and the shallow water is filled with rock formations. The rocks prevent big waves reach the beach, but the waves and currents are very strong beyond these rocks. Therefore, it is not suitable for swimming. Since the beach is the backyard of our hotel, we always played here in the morning. We played in the shallow water waiting for the waves hit us, strolled along the beach to find beautiful shells and hermit crabs, we even caught several fish that are trapped in the rocks. Further up the street we can see fishermen unload their boats. The catch mostly are fish called layur (Trichiurus lepturus). The english name of this fish is largehead hairtail or beltfish. They are mainly exported to Korea. In addition to the beach, there are several places of interests nearby Ujung Genteng. The most famous is the Green Turtle Conservatory at Pangumbahan beach. Pangumbahan beach is famous of its Sea Green Turtle (Chelonia mydas) Conservatory. 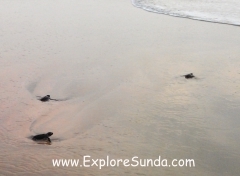 The biggest attraction here is to watch either green turtle lay eggs at nights or release turtle hatchlings on sunsets. There are 3 waterfalls and the height of each waterfall is approximately 7m. 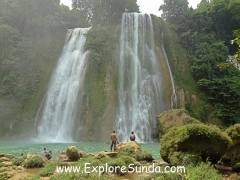 It is the second highest waterfall in Java. The highest is Madakaripura waterfall near Bromo crater complex in East Java. The waterfalls are beautiful. We are allowed to swim in the waterfall. The water is clean and the air is cool, a perfect place to relax. First option and the preferable one is to take a short ride in a boat (less than 5 minutes). The boat can take up to 12 persons. Although the river looks brown muddy at the starting point, once the boat turns right to the smaller river, the water change to green. The trip looks very much a like a shorter version of Green Canyon in Pangandaran beach. The second option is to walk from the ticket booth through paddy fields to the waterfall. It is definitely cheaper than renting a boat, and it is not a difficult or far away walk anyway. How to go there: first, we go to the town of Surade. It is about 30 km or 1 hour drive from Ujung Genteng beach. Then, we look for the right turn to Tegalbuleud. Next, we follow this road for approximately 7 km where we will see a small sign to Cikaso waterfall. We across the road here to turn right into a narrow road leading to the parking lot. The location of this beach is approximately 3 km from Pangumbahan beach. The ideal transportation to Pasir Putih beach is to ride a motorcycle, since the road is very narrow, no asphalt road whatsoever, the road looks made up of stone, dirt and sand. However, we still can use high clearance vehicle, such as an SUV to go here. At the end of the road we will find a small open area where we can park our car but the beach is nowhere to be seen. It's because we still need to walk for another 100 meters through forest. When we visited this beach, it was already late afternoon, nobody was there so we almost gave up. Fortunately we met a couple of locals who lived there and he was very kind to show us the way. He even showed us the hole of poisonous crab! The manager of our hotel mentioned Ombak 7 beach is more beautiful than Pasir Putih beach. 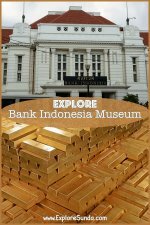 It is located further away from Pasir Putih beach. We can only use motorcycle or walk to reach this beach. Since it is very remote, we decided to go there in our next visit to Ujung Genteng. The name is taken from the famous Tanah Lot in Bali, due to its resemblance: a tiny island surrounded by ocean, and the location is closed to the land. Here we can see the water from the river meets the ocean, and the strong waves from the ocean hit the cliffs. The view is breathtaking, but there is no way to go near it. We can only see the view from on top of the cliff. How to get there: Tanah Lot is approximately 10 km from Ujung Genteng on the way to Surade. Just look out for a sign of Villa Amandaratu, once you saw it on the right side of the road (from Ujung Genteng), turn right and drive until the end of the road. You will see the villa facing Tanah Lot. I guess it was meant to be a luxurious villas, but now it is abandoned. Turtle Beach Resort. This is a relatively new hotel, commenced around 2012. It only has 10 rooms, but each room comprises 2 air-conditioned bedrooms, 1 bathroom and 1 living room. All of the rooms are facing the swimming pool. The strongest point of this hotel is that it is located right in front of the beach. The gate to Green Turtle Conservatory at Pangumbahan beach is right next door, so it is approximately 3 km or 20 minutes to reach Pangumbahan beach. We stayed in this hotel during our holiday in March 2014, since it is the only hotel we could find in the internet. Nevertheless, we really enjoyed our holiday there. The manager of the hotel is also helpful in providing information about places of interests and even he can help to arrange transportation or a tour guide. Pondok Hexa. This motel was initially built in 1990s, but it is well maintained and continuously renovated. Hence, some of the rooms are new. This is the biggest hotel in Ujung Genteng beach. It offers rooms with indoor bathroom, 2 bedrooms villas, and 3 bedrooms villas. The villas are equipped with kitchen. This is the only hotel that provides hot water for shower! 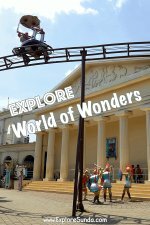 It also has small playground, swimming pool, a restaurant and 2 souvenir shops. The only drawback is the beach is about 50-100 meters from the room since we need to cross the yard and street first. It is easy to find accommodation during low season, since the beach is only crowded during weekend (saturday night only), school break and Iedul Ied holiday. Therefore, finding a suitable room is easier than having a decent food in Ujung Genteng beach, especially during low season. We were there in the weekdays of low season, hence, most of the already limited restaurants/canteens are closed. The best food in this area is the restaurant in Pondok Hexa. During our trip to Cikaso waterfall, we found a small restaurant in Surade town, called Dapur Iga. We ordered Nasi baker teri (rice mixed with herbs and anchovies, wrapped in banana leaves and then grilled) and grilled chicken. They are delicious. Unfortunately, it takes 1 hour drive (30 km) to reach Surade from Ujung Genteng beach. First, we go through Jagorawi toll road exit at Ciawi. Then we choose the direction to Sukabumi. Please note that we will pass small towns such as Cicurug and Cibadak with congested traffic at the market of each town. Alternatively, we could take alternative route to a smaller road, which hopefully take less time than through ordinary road. If we took alternative route, we will not go through Sukabumi, but to Pelabuhan Ratu beach instead. Then from there we take small road to Kiaradua, Jampangkulon, Surade, and finally Ujung Genteng. First, we go to Padalarang Cileunyi toll road exit at Padalarang. Next, we choose direction to Cianjur then Sukabumi. 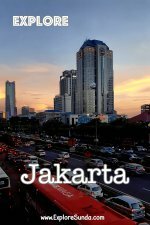 Once there, we could go to Pelabuhan street, but the traffic is usually bad there. Therefore, it would be better to go to Cimerang (the street direction always mention Sagaranten), then choose direction to Surade. Either way we will arrive at Ujung Genteng beach, but it will take longer through Sagaranten. Last time we used this route, it took 8 hours from Bandung to Ujung Genteng beach. It is mostly due to the bad condition of the road. It is uncomfortable to maintain speed above 30km/hour.